So, you want to protect your home from package theft, vandalism, and burglary while also keeping your kids and pets away from your table saw and unfinished woodworking project? If you don’t have room in your budget for a home security system, a simple CCTV surveillance system could be just what you need. With a CCTV system, you can set up connected cameras inside and outside your home to watch over your back door, garage, and front porch without losing sight of your basement. Most CCTV systems use either a DVR or an NVR. But what’s the difference between them, and which system is right for you? We’ll help break it down. DVRs and NVRs connect to multiple cameras and let you view and store the video files in one convenient place. For the most part, DVRs and NVRs serve the same purpose, but there are a few key differences, so it’s important to make sure you choose the recorder that meets your needs. DVR stands for digital video recorder; DVRs work with analog cameras (as in cameras that must connect directly to the DVR through cables). Because DVRs use wired cameras, the signal is more reliable, but the setup is harder and you don’t have as many options when you’re deciding where to put the cameras. NVR stands for network video recorder; NVRs work with IP (internet protocol) cameras, which means the cameras can connect wirelessly. A big advantage of NVRs is that you get more flexibility when choosing where to place cameras. However, since the cameras are wireless, the signal is less reliable than it would be with a wired camera and DVR. DVR vs NVR: Which is better? In most cases, we recommend buying an NVR because they’re compatible with modern, high-quality cameras. Plus, since NVRs work with wireless IP cameras, you can set up your system where you need it instead of being limited to places that can be reached with a cable. However, if you’re on a tighter budget or you’re worried about a signal going out, a DVR is a solid alternative. A few companies also sell HVRs (hybrid video recorders) that work with both analog cameras and IP cameras. 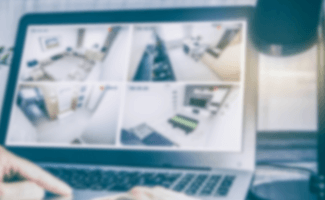 However, most of those systems are marketed toward larger businesses, and their high cost makes them an impractical choice for basic home security. The whole point of buying a DVR or an NVR is to see the feed from your cameras—so you’ll also want high-quality security cameras. That’s why we recommend Amcrest video recorders. Amcrest offers a huge selection of affordable, capable cameras that can be used both inside and outside your home. That makes it easy to find cameras that work for you whether you need something with night vision to protect your front door or something with two-way audio so you can communicate with your kids if you see them getting into an area of the house that is supposed to be off-limits. 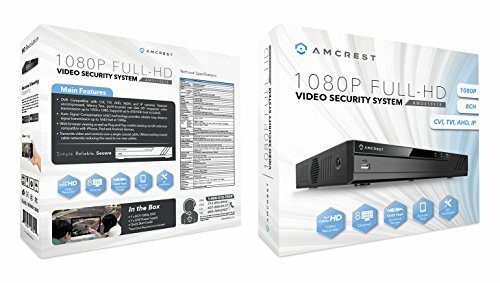 *If Amcrest ProHD Eight-Channel DVR (AMDV10818) is out of stock on Amazon, try Amcrest 1080P-Lite 8CH HD Video Security DVR as a substitution. 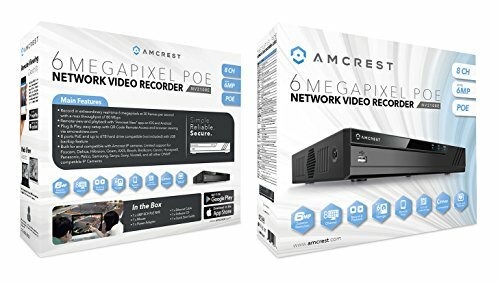 While these Amcrest video recorders are our top picks, they aren’t your only options. If Amcrest doesn’t have a system that suits your specific needs, we suggest checking out Swann or Night Owl. Both DVRs and NVRs can help you protect your home and your loved ones—choosing the right system really comes down to your specific preferences. Either option will give your home added protection; it just comes down to finding the option that is best for you. Do you have a DVR or NVR security camera system at your home? We’d love to hear from you. Share your experiences and your advice in the comments below.